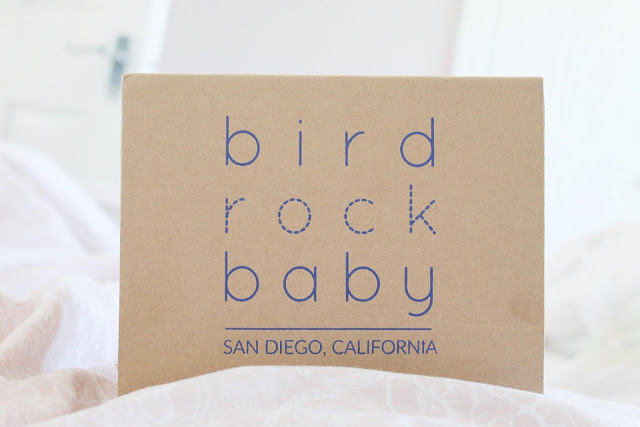 Bird Rock Baby, a small multi family company with a big heart and Amazon presence are an amazing company to get behind. I really love that their products are affordable for all parents, they put your child's development first and every purchase feeds a child in need through their charity partner, Feed My Starving Children. 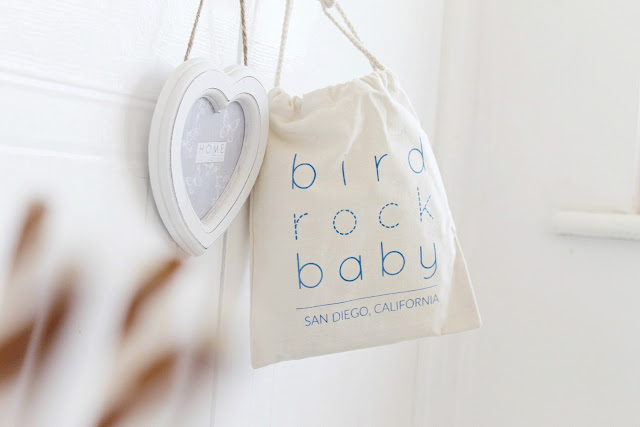 And nestled inside the little cotton drawstring bag for safekeeping, I think it's such a sweet touch. I received mine from ordering from their UK Amazon outlet. Those from the US can order straight from the site! They came with free Prime delivery so they arrived the very next day. 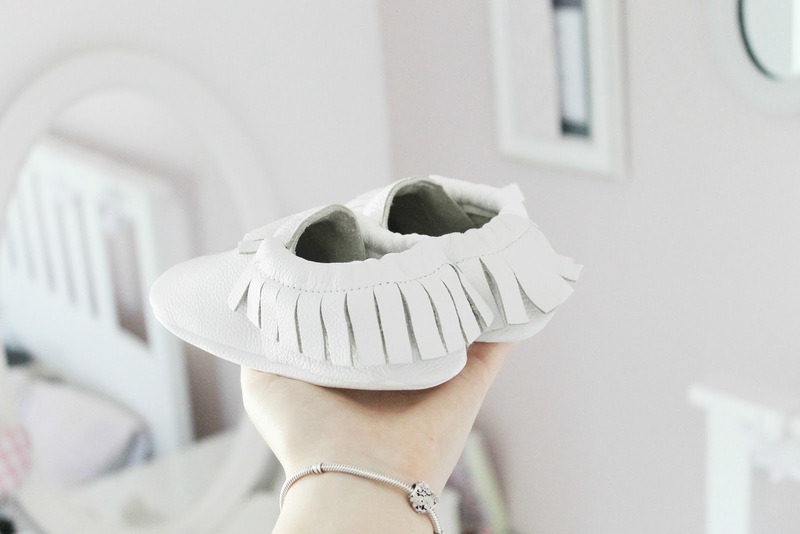 The moccasins come in many different colours even gold and pretty mermaid scales ahhh and fun patterns to suit your child's personality and will fit all ages from newborn up to preschooler. They really are the cutest things to house your babies feet. We chose size age 3-4 in Pearl white, the perfect unisex shade that is super versatile and accords with every outfit. Being so stretchy and soft, I can see how easily these will cater for different sized feet and fit them as they grow. The little decorative tassels are a very cute touch! The elastic ensures that they don't fall off and they are so stretchy and the easiest things ever to put on, even if your little one is wriggling and wrestling. The little tan boots will be so cute for autumn, I wish they had some in my size haha! I really recommend giving them a try and supporting a small business and charity at the same time, it's such a great feeling. Oh my goodness, those are SO cute! Oh my goodness, these are the cutest! Oh wow these are just so lovely! Omgggg! I don't have a child but when I do they are 100% wearing these! I can't get enough of them!